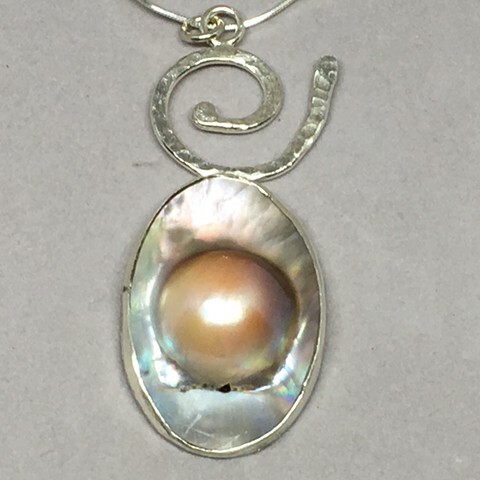 Lovely blister pearl with fine silver wave bail. Set in handcrafted fine silver bezels. Choice of 16" or 18" chain.